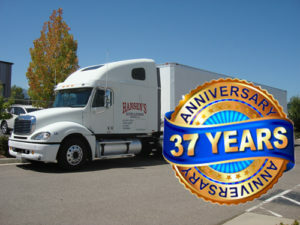 Hansen’s Moving and Storage has been serving Northern California since 1981. We are locally owned and operated. Hansen’s Moving and Storage is available to service your upcoming move whether you are moving local, long distance or out of state. We also offer full packing services and packing supplies.Hansen’s Moving and Storage offers exceptional personalized service with every move. We move single items, apartments, homes and offices. We will treat your furniture and belongings as if they were our own. We take pride in handling every item with extreme care. Our employees are well trained, professional and courteous. Hansen’s Moving specializes in moving pianos and spas. We are the most referred company in the north state. We also have a new, clean secure warehouse facility for your storage needs. We can store your items for a few days, weeks, months or years. Your personal belongings will be kept safe, clean and secure. Our warehouse is state of the art alarmed and fully sprinklered. Please call us for your free estimate. State of California and USDOT. In Business for 37 Years! Copyright © 2018, Hansen's Moving and Storage. Hosted and Designed by Redhot Media Productions.